Kick off #ScaryMovieMonth with Patrick, Mike, Adam Riske, JB, Tom Atkins snakes, bugs, robots, masks, Stonehenge, telephones and Knitbot 2000. Join the Scary Movie Challenge VI! I love this movie! This made my day. This is fantastic! What a nice surprise. Eh.. no. But I'll say, after recently watching Anthony Hickox's two "Waxwork" movies, I'm dying to revisit his "Hellraiser III: Hell on Earth" (which I already liked anyway). I just watched the first one recently. Didn't even really like that one. And then I saw the eight sequels :O. Think I'll pass. I did this the week before SMM last year. My favorite was Hellworld, which is an extremely '90s movie despite being from 2005. Revelations was unwatchable. Interesting cast members that may or may not make an installment worth watching based on whether you like them: Kari Wuhrer is the lead in Deader, Adam Scott's a side character in Bloodline, and Dean Winters (Mayhem from the Allstate commercials) is the smuggest horror character O.A.T. in Hellseeker. I stopped watching after Scott Derrickson's Hellraiser 5. The first two are my favorite. Watching the documentary Leviathan makes me want to revisit Hellraiser III. Thank you guys, hilarious commentary (I expected nothing less). Just a heads up, if you don't own the movie (I'm waiting for a region B Blu-ray), it can be found on YouTube in its entirety. It's dubbed in German but what does that matter when you're listening to the commentary anyway. I had to make this movie jump the cue, did not regret this. BTW: I unapologetically liked it as a child. My god, Atkins. Every second he's on screen I can just smell the Marlboros, Old Milwaukee and cheap scotch. I enjoy the weirdness of this movie, Adam, and part of it is Atkins. Maybe it's just that this is one of my favorite horror movies ever, but I think this is your best commentary. Patrick is so hilarious here! I love his high pitched, "YES", every time it's suggested that Atkins does something sexually devious. Atkins would love this. No, I'm sure now. This is your best. That was a great way to start Halloween month thx guys loved it. This was the funniest commentary I've heard in a long time. This was a fantastic commentary! I wish you guys would do more of these. This movie gets better every time I watch it. 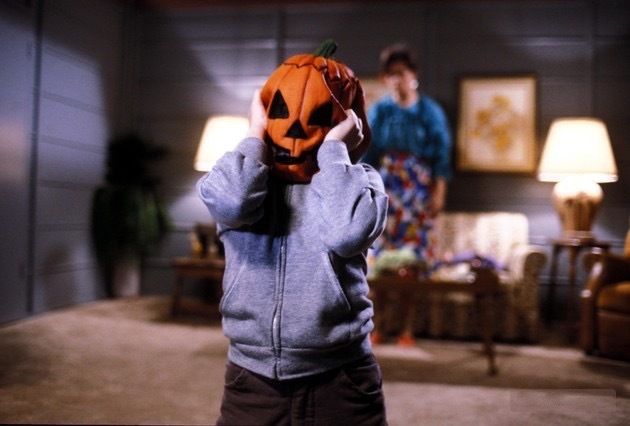 It's definitely my second favorite Halloween movie. After listening to this, your Halloween franchise podcast, and the Saturday Night Movie Sleepovers podcast about this before ever watching the actual film, I think I may be breaking some kind of "Season of the Witch build-up" record. I can only hope that Tom Atkins lives up to the dreams I've been having.